Delivered subcutaneously, which means by needle right under the skin. Taken as pills, sprays or drops orally through the mouth and swallowed. Contains 191 amino acid sequence and is bio-identical to what the body actually produces on its own. Contains an unknown amount of actual HGH medication. Upon injection, the medication goes into the body and directly to the bloodstream where it needs to go to work. Upon swallowing, the medication goes straight to the stomach and is quickly metabolized there. It never has a chance to reach the bloodstream where it needs to go to work. Patients must have a prescription to buy these HGH medications. Injections are not sold in stores as over the counter medications. Patients can purchase these medications over the counter. They do not need a prescription. Patients must be receiving medical supervision when using these injectable HGH medications. No medical supervision is needed when using oral HGH. The injectable medications have studies behind them proving that they make changes to the body and eliminate or decrease low GH symptoms. HGH injections are able to raise GH levels and balance them within the body. These oral HGH medications have no research studies proving their effectiveness. In fact, most experts will say that they are useless, a waste of a person’s time and their money. There really can be no fair fight between injectable HGH vs oral HGH. Simply put, injectable HGH has been proven to work and to give those with a growth hormone deficiency their quality of life back when symptoms of low GH bring them down. Oral HGH has been called useless medicine that is sold for the purposes of only bringing in a profit. They do not work and should not even be created, according to experts. These medications can be delivered by needles and syringes and also in the form of convenient and easy to use pens. Many people are now moving to the more innovative way of using injectable HGH; via pens. Each HGH pen is different. Some set the patient’s dosage for them, some come already mixed (or reconstituted) and some come with needle guards so patients do not even have to see the needles. They are simple to prepare (some do not need any preparation except sterilization), easy to use and painless to deliver. Injectable HGH via the use of pens can actually make hormone replacement therapy fun. Pens can come in different colors and with their easy to use instructions, they are simple for anyone to handle. 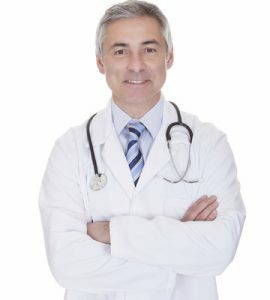 Understanding the difference between HGH injections vs Oral HGH is important so that you do not waste your time and energy. HGH injections may be more expensive, but oral HGH, no matter what the cost, is a waste of your money. Call us to learn more about injectable HGH vs oral HGH by using our toll free phone number. You may also reach out to us using our online CONTACT FORM. We are ready to share all the information you want to know about HRT with you.